I'm stocking up for the rainy, cold autumn days ahead - laying in a large supply of Victorian London Fog tea from Harney & Sons. The beverage called London Fog originated in England's Victorian era. It's traditionally an Earl Grey tea served with steamed milk. This blend was the winning blend in Harney & Sons' customer blend creation contest. 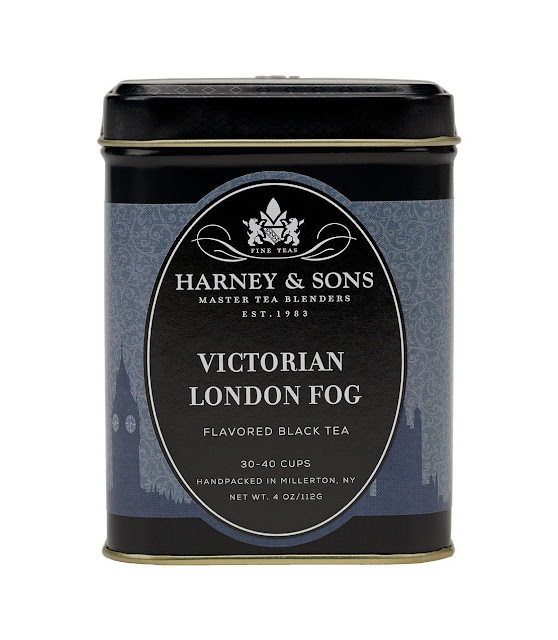 This caffeinated blend evokes the aroma of a London fog, with hints of lavender and vanilla. This four ounce tin of loose tea brews around thirty to forty cups of tea, depending on how strong you like your tea. 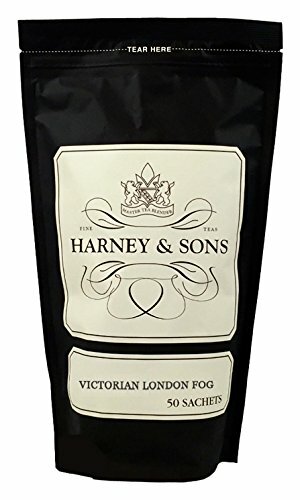 If you prefer, you can purchase it in a bag of fifty Victorian London Fog sachets.